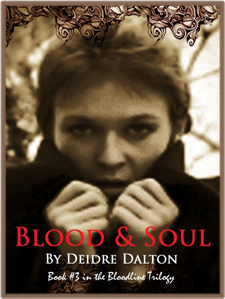 The Bloodline Trilogy concludes with Book #3, Blood & Soul. The novel is scheduled for release in 2020. Please Note: Storyline, estimated release date and book cover art may be subject to change. Deborah O'Toole writes using the pseudonym Deidre Dalton. Click here to visit Deidre Dalton's official web site.